The club’s academy director will take over from Martin Russell in the short-term. 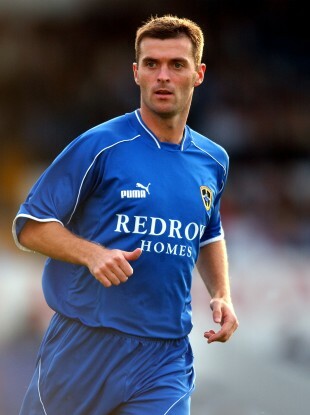 Boland spent seven years with the Bluebirds. LIMERICK FOOTBALL CLUB have announced that Willie John Boland will take over as first-team manager on an interim basis. The SSE Airtricity League Premier Division club, currently eighth in the table, parted company with Martin Russell on Monday — just six matches into the 2017 campaign. In a statement released this afternoon, Limerick revealed that Boland, who has been the club’s academy director since November 2015, is set for the job in the short-term. “After a meeting with the club and the staff, it was decided I would take over on an interim period with Joe (Gamble –strength & conditioning coach) and Eddie (Hickey – goalkeeping coach) in their current roles as well going forward into the coming game against St Patrick’s Athletic,” Boland told the club. “As a player, even though the manager has left the club, they have their own professional pride. They’re professional players, they understand how football works. It can be quite volatile especially in relation to the managers position. So, they’ll be focused on the game no doubt about that. The 41-year-old carved out a playing career at Coventry City, Cardiff City and Hartlepool United before returning to Ireland for a brief spell at Limerick in 2010. Boland also developed his coaching philosophy at Middlesbrough’s academy and with Hartlepool College. People would say I’m a little bit different from a coaching point of view,” he added. “I’m not as abrasive. I will put my points across but I feel that the players at this moment in time that there’s a good bunch of lads there; there’s some good players at the club. Next up for the Super Blues is a meeting with St Patrick’s Athletic at Richmond Park this Friday, before home games against Drogheda United and Galway United. “My sole focus at this moment in time is looking at the St Pats game and getting the boys prepared for that game,” Boland said. “There could be somebody in place by then, I know the club are on the look-out for a new manager so I’ve just got to concentrate on game-to-game situations. Email “Former Cardiff City midfielder Willie John Boland named Limerick interim boss ”. Feedback on “Former Cardiff City midfielder Willie John Boland named Limerick interim boss ”.